The world's most capable framework for configuring and building mobile offline-capable apps on Esri's platform. What is Geocortex Mobile Viewer? Learn about Geocortex Mobile Viewer and how you can use it. Take a tour of Geocortex Mobile Viewer Designer and Geocortex Go. Follow a step-by-step guide to building your first Geocortex Mobile Viewer app. See how to use Geocortex Go to preview changes you make in Geocortex Mobile Viewer Designer. 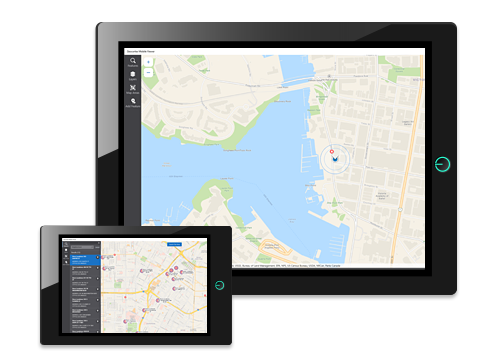 Easily create customized mobile apps for your field workers on Esri’s web maps. View/Add/Edit/Delete Features, including attachments and related records. Support for Esri’s map areas enables users to work effectively while not connected. Integration with Workflow means you can truly customize app functionality to meet your needs.